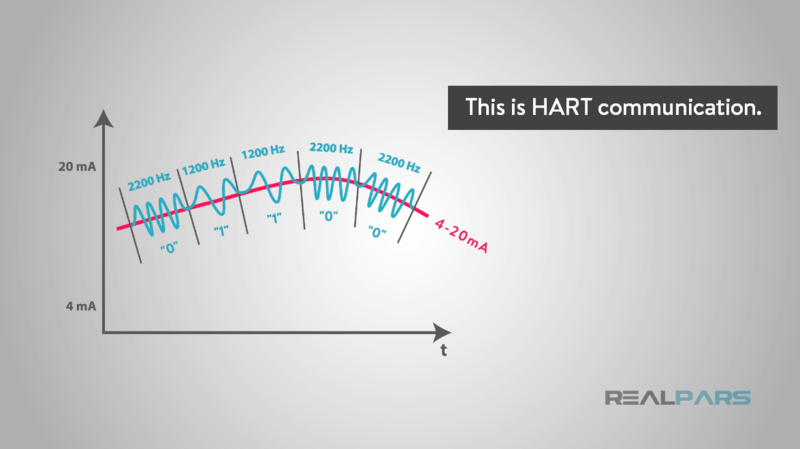 Learn what HART protocol is, how HART is used with analog sensors and how a HART analog sensor works. 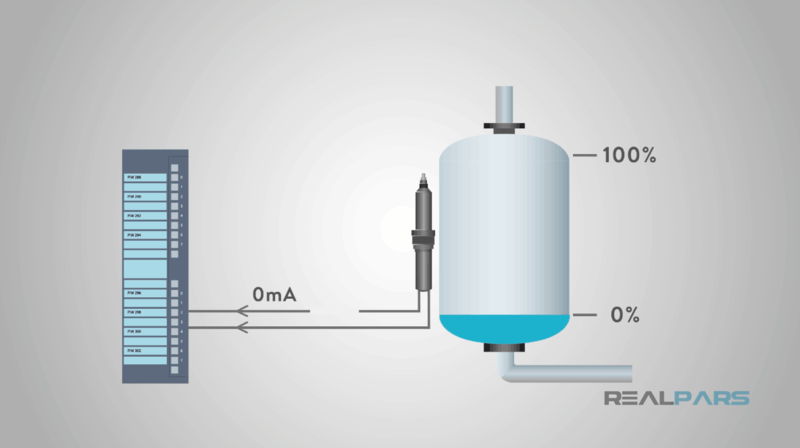 In this article, you will learn what a HART protocol is, how HART is used with analog sensors, how a HART analog sensor works, and what advantages a HART analog sensor can give your operation. 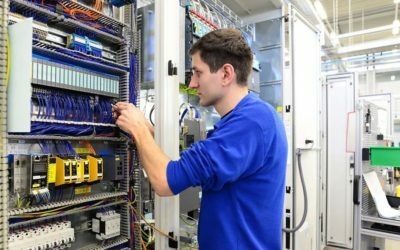 Current-loop technology has been used for analog sensors for the past 4 decades to transmit important process data to the control system, whether that system is a DCS (distributed control system) a PLC (programmable logic controller), or a single-loop controller. 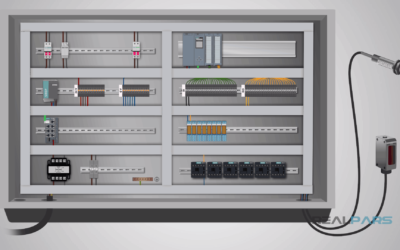 Current-loop data transmission is simple and cost effective. Only a small amount of current (4 to 20 milliamps to be exact) is required over a single pair of wires for each current loop sensor. One 2-amp, 24 Volt DC power supply can “drive” dozens of sensors. 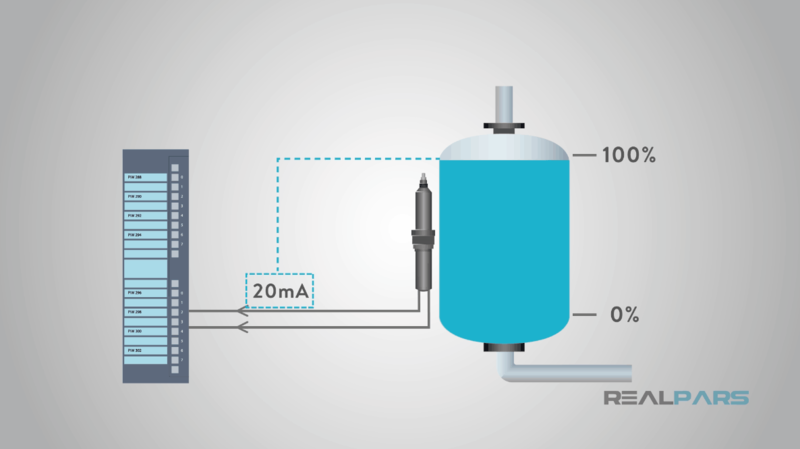 For current-loop analog sensors, the lowest measurable process value is called the Lower Range Limit, or LRL. The analog sensor will output 4 milliamps at this 0% reading. 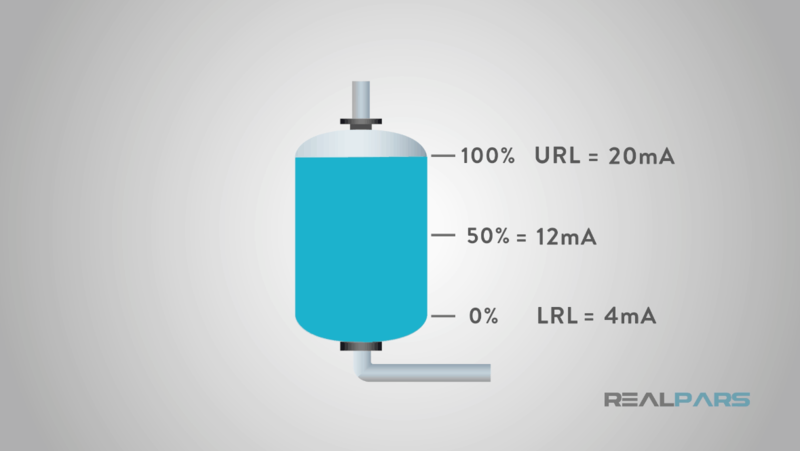 The highest measurable process value is called the Upper Range Limit, or URL. The analog sensor will output 20 milliamps at this 100% reading. Many analog sensors, such as pressure and temperature sensors, are inexpensive, and good quality sensors can be purchased for US$100 – US$500. 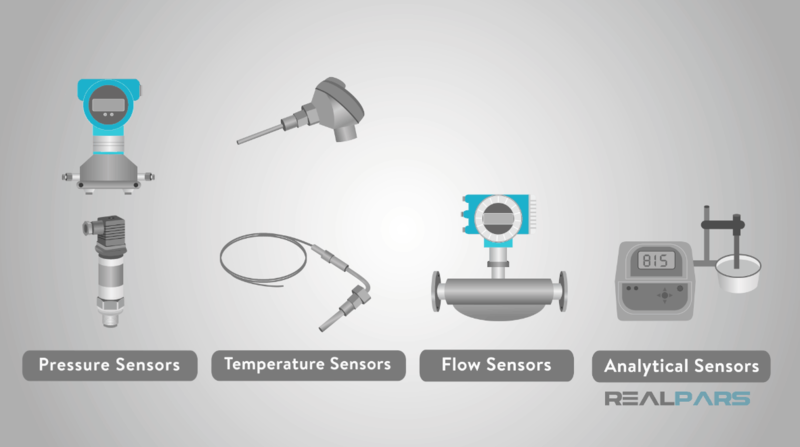 More complex flow, level, and analytical sensors do cost more, but these still only require a single pair of wires to allow the process variable, or measured variable, to be transmitted to the control system. 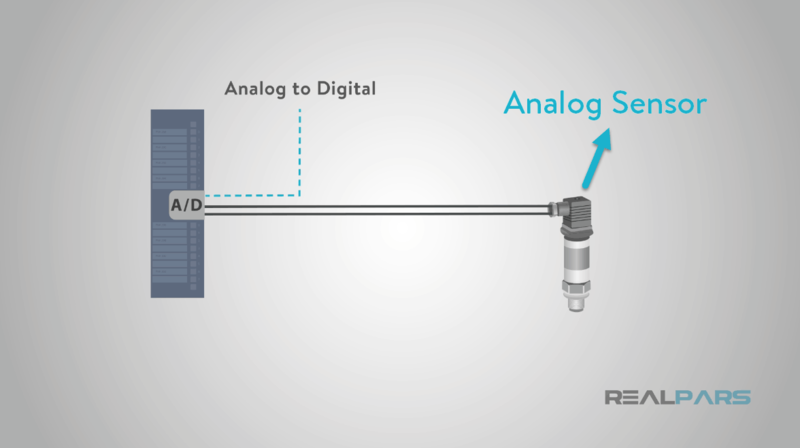 Another positive feature of analog sensors and transmitters is that the signal can be carried a great distance along a single pair of wires with little or no signal loss. 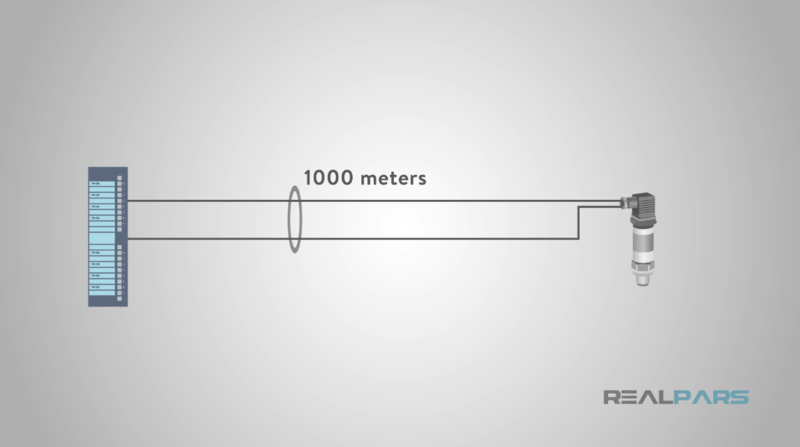 A current signal can be transmitted up to 1000 meters through 18-gauge wires with no appreciable signal loss. Lastly, 4-20 milliamp current loop signals provide a basic level of diagnostics. Since 0% equals a 4 milliamps signal, a broken wire would break the circuit and 0 milliamps would be sensed. This “live zero” feature, where 0% is equal to a value of greater than 0 milliamps, allows the control system to detect a broken wire at 0 milliamps. But analog sensors can only send one “value” over a single pair of wires to the control system. And the granularity, or precision of the data, is limited by the type of analog to digital converter (or A-to-D converter”) used by the control system electronics. However, with modern electronics, this is not as much of an issue. 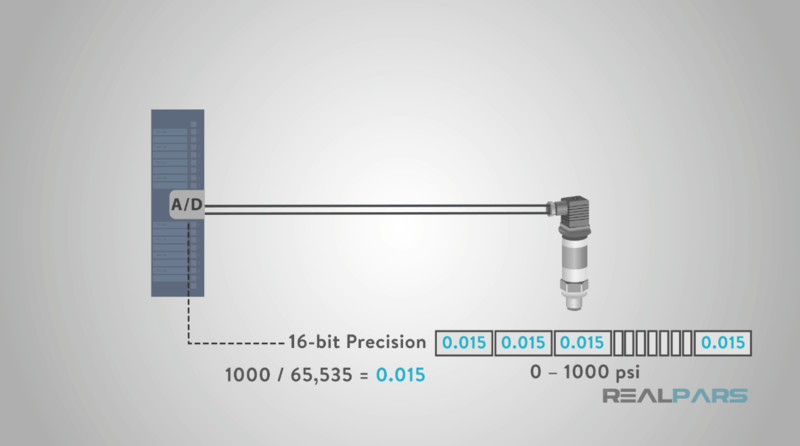 An A-to-D converter with 16-bit precision can report the range of values for an analog sensor in 65,535 increments. 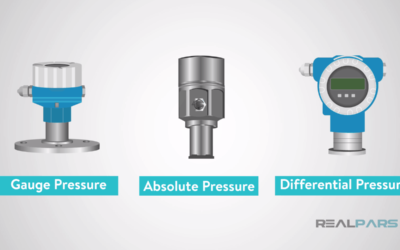 This means that for a 0 – 1000 psi pressure sensor, the granularity of the signal value is 1000 divided by 65,535, or 0.015 psi. This level of precision would be sufficient for most applications. Before we answer the question of what HART protocol is, let’s look quickly at another analog device; the analog telephone. Analog telephone communication is similar to analog sensor signals used in industrial plants. Analog telephone lines transmit voice as 48 Volt DC electrical signals. When you speak into the handset of your phone, the microphone converts the sound waves into analog electrical waves. These waves propagate over the telephone line to their destination. 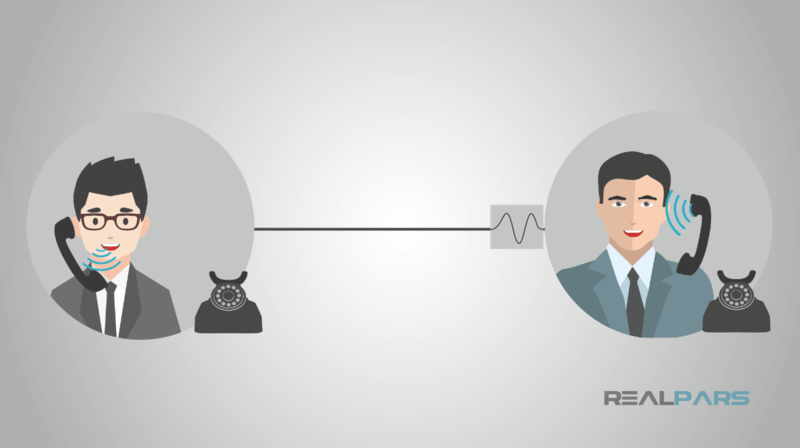 The receiving phone then converts the electrical signals back into sound waves through the speaker of the handset. One pair of copper wires for voice transmission, and one conversation (or transmitted value) at a time. All just like an industrial analog sensor. In the late 1970’s, Bell Labs invented the Bell 202 modem standard. In 1980, the Bell 202 standard was adopted as the communications standard for subsea oil and gas production control systems. 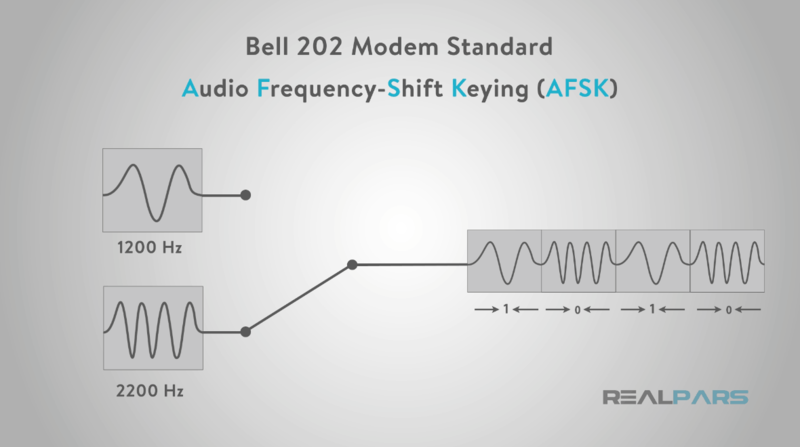 Bell 202 specifies a modulation method known as audio frequency-shift keying (AFSK) to encode and transfer digital data at a rate of 1200 bits per second, half-duplex (meaning, transmission only in one direction at a time). 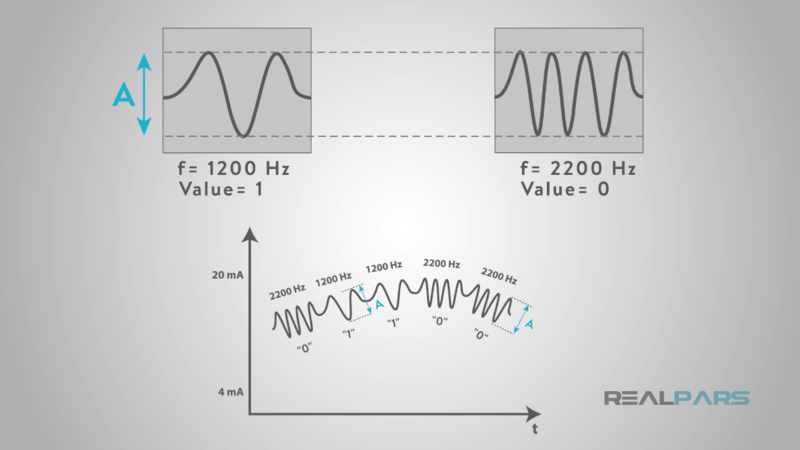 Basically, it provides a continuous signal, as an AC sine wave, that shifts its frequency from 1200 Hertz, indicating a binary value of 1, to 2200 Hertz to indicate a binary value of 0. Here’s the kicker. 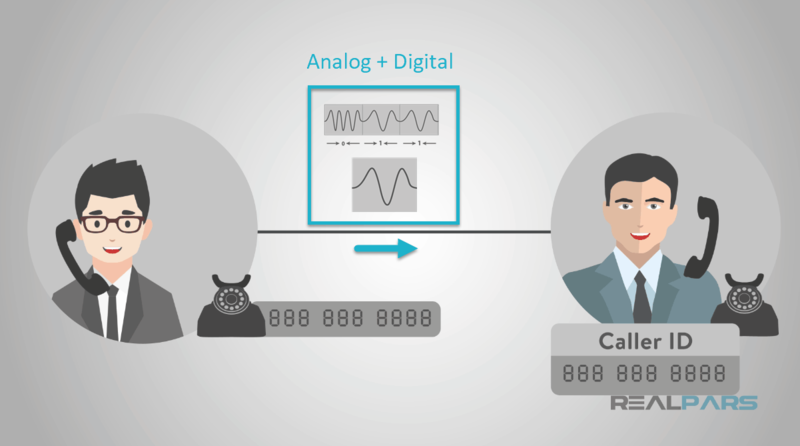 If we superimpose a Bell 202 signal on top of a standard analog telephone line signal, we gain the ability to send digital data AND analog data at the same time on the same pair of wires. This was used to transmit the caller’s telephone number along with the voice call. This feature is well-known as Caller ID. So what if we superimposed a Bell 202 signal on top of a standard analog sensor line signal? We gain the ability to send digital data AND analog data at the same time on the same pair of wires. This is HART protocol! 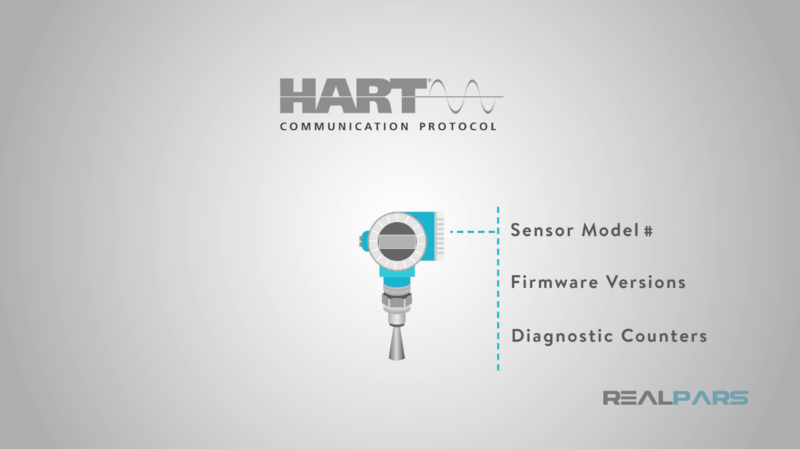 With HART, we can send analog data, the measured value of the process variable, along with digitally-transmitted data, such as a tag name, or calibration settings, or sensor diagnostics. This would be a real productivity enhancement for the process plant! And because HART-enabled sensors require only a single pair of wires for communication, to upgrade an existing non-HART sensor loop to a HART-enabled loop, no wiring changes are required! This would be a real productivity enhancement for the process plant! 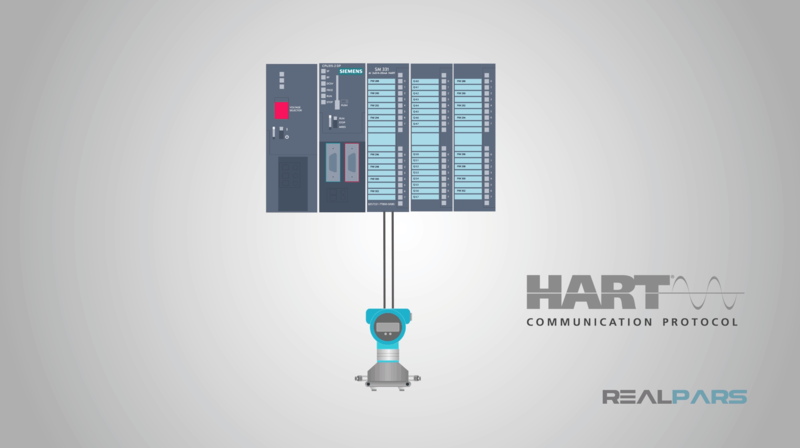 The good news is that HART is built-in to most commercially-available analog sensors and HART-enabled analog input cards are available from nearly all DCS and PLC manufacturers. There are even add-on hardware devices to convert your HART sensors into wireless transmitters! 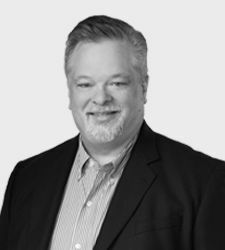 Now that we know what HART protocol is, let’s finish the discussion of how HART works. 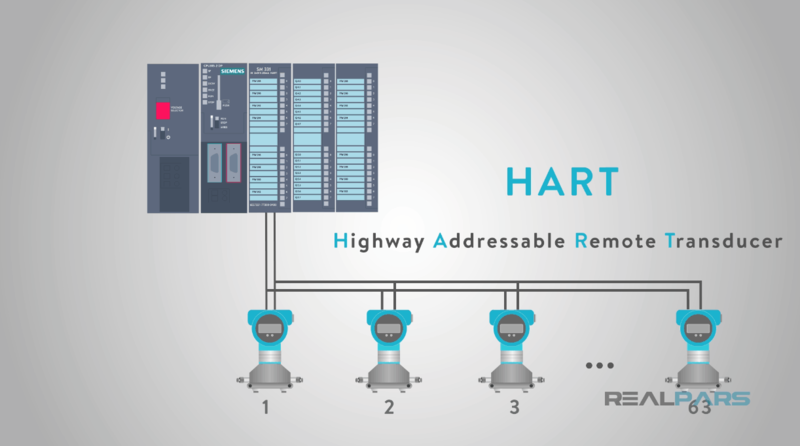 First, HART is an acronym for “Highway Addressable Remote Transducer”. This simply means that a small network can be formed with up to 63 HART devices, each having its own address, or node number. Because a sensor can be remotely accessed using HART, the name really does say it all: “highway (or network) sensor (also called a transducer) that has an address so that it can be accessed remotely and directly”. The remote capability of HART sensors is very useful and powerful. In the diagram below, we see a HART sensor connected to a PLC analog input card. 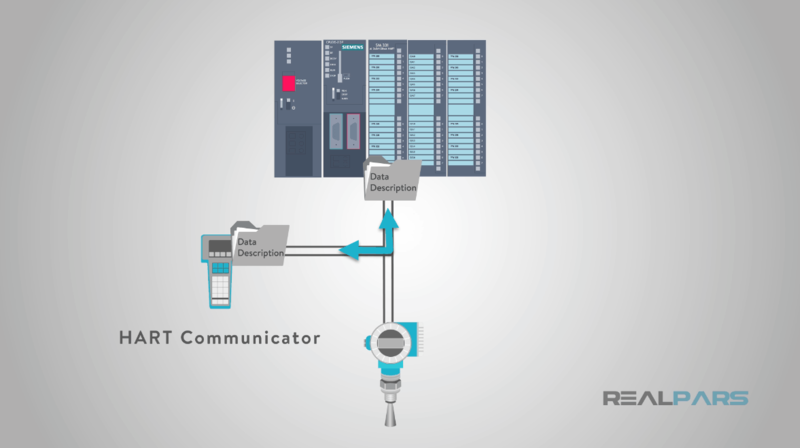 We can access data in the sensor remotely using the HART communication protocol from the PLC programming software. That means we do not have to be at the location of the sensor to access its data. We can configure, calibrate, and retrieve diagnostic data from a control room or other location where the HART data is accessible. Data from a HART sensor must be requested by the master node, which controls all conversations on the loop. The master node is typically the DCS or PLC analog input card that the sensor is wired to. 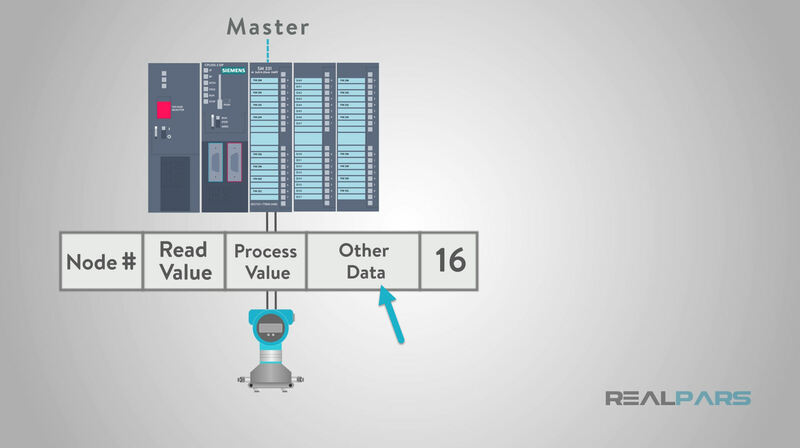 Each message from the master includes the request type, such as “send measurement value”, the node number of the sensor the message is intended for, and any data that needs to be transmitted to the sensor, like a new value for the upper range limit. By using a hand-held programming and configuration device, often called a “HART communicator”, the sensor data can be accessed wherever the opportunity exists to connect the hand-held device in parallel to the loop wires. This can be in a junction box, marshaling panel, or at the sensor itself. 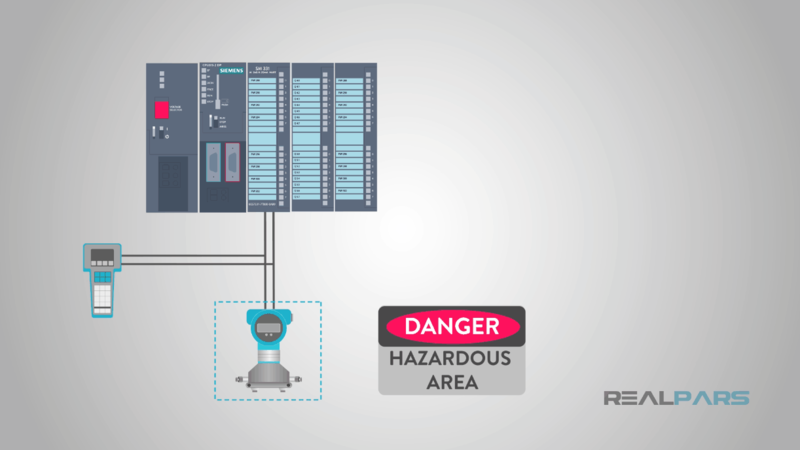 So if a sensor is in an inaccessible or hazardous area, configuration or maintenance of the sensor can be done from a safe, remote location. 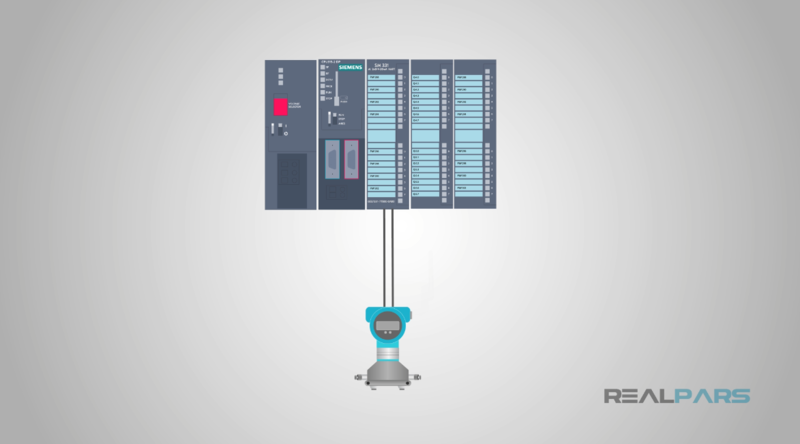 Networking HART devices, in most control systems applications, is not practiced. Because of its limited speed and its cumbersome multi-drop network topology, we generally assign only one node, or sensor, to each HART signal loop. 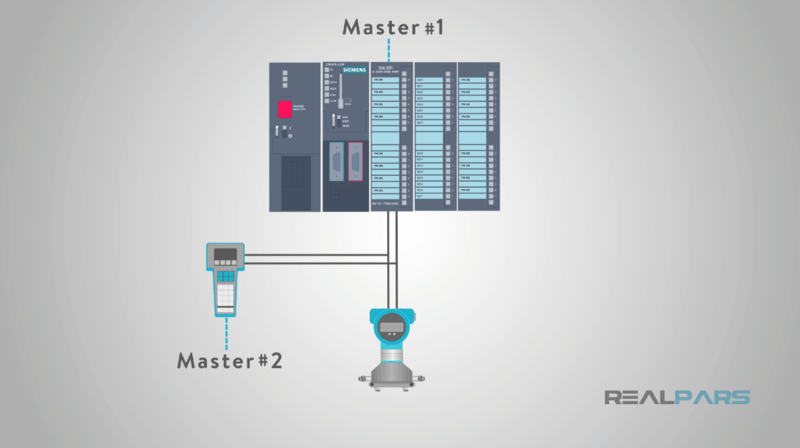 Fortunately, HART allows for multiple master nodes, so that the control system AND a hand-held communicator can both be connected to the loop and can communicate with the device at the same time. With HART, the analog 4-20 milliamp signal AND the digital HART protocol are both available to the control system and instrument technician. 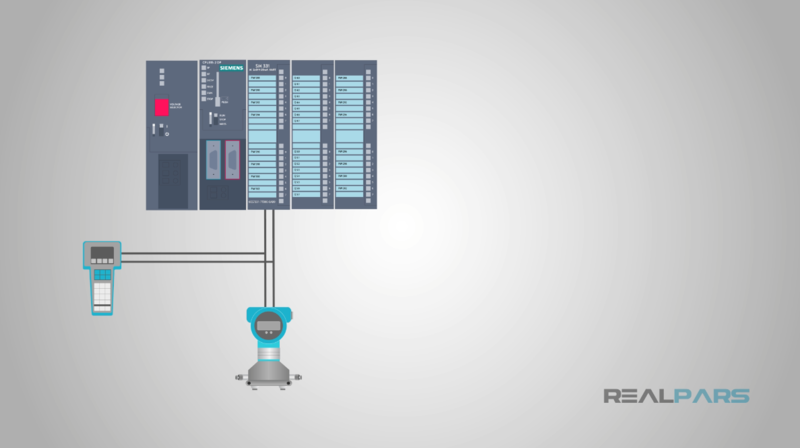 If a sensor loop is upgraded from ‘analog only’ to ‘analog plus HART’, the control system programming and configuration for the measurement value can stay the same. You can imagine that superimposing an AC signal on top of a DC signal might interfere with the 4-20 milliamp signal. But this is not the case. 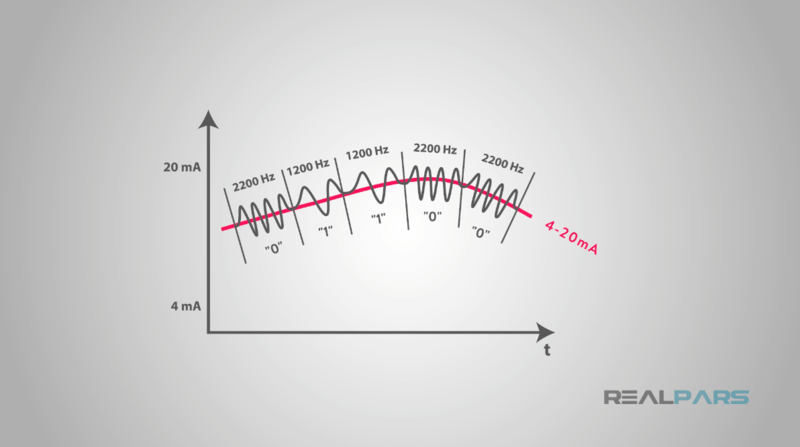 The AC HART sine wave oscillates at either 1200 Hertz for a 1 value or at 2200 Hertz for a 0 value. The amplitude of the AC sine wave remains the same, and for every oscillation, the amplitude of the first half of each sine wave above the DC current curve exactly equals the amplitude of the second half of each sine wave below the DC current. The net effect of the sine wave is then zero. So the analog value of the sensor measurement data is not affected by the HART signal, just as a telephone voice conversation is not effected by the caller ID signal using the same Bell 202 protocol. 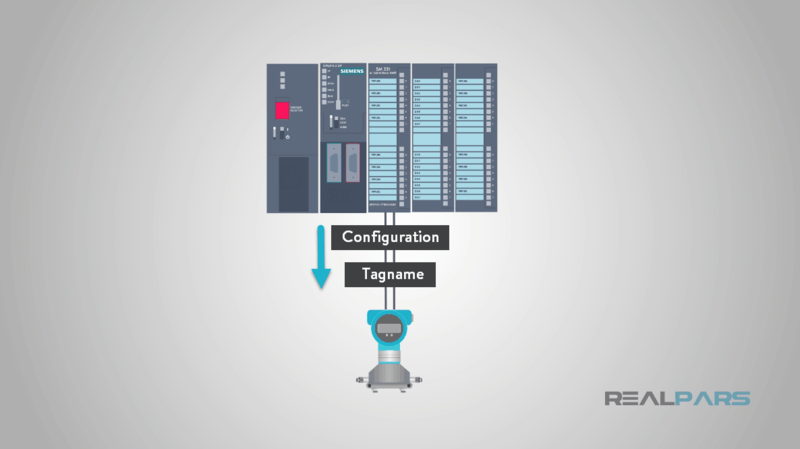 basic configuration parameters, like upper and lower range limits; and the tagname of the device. 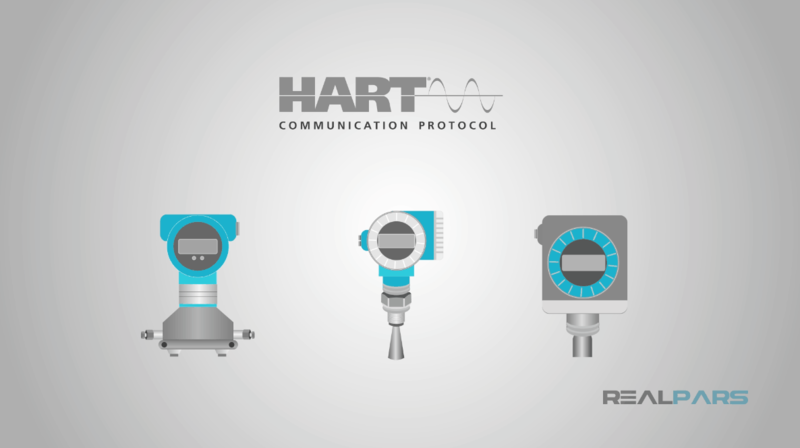 HART protocol is a perfect choice for multivariable instruments, like mass flow meters, where mass flow, volumetric flow, temperature and density can all be communicated to the control system over a single cable. 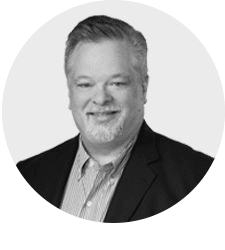 The HART protocol is governed by a vendor-independent association, The HART Communication Foundation, so HART sensors from any manufacturer can be interchanged with those of other manufactures. 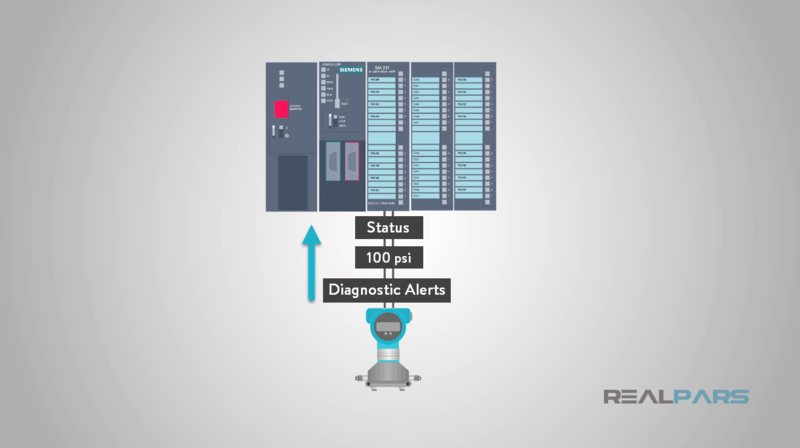 This makes implementation, maintenance, and troubleshooting very easy. Also, HART is used extensively for final control devices, such as control valve positioners, with the same benefits and diagnostic capabilities. 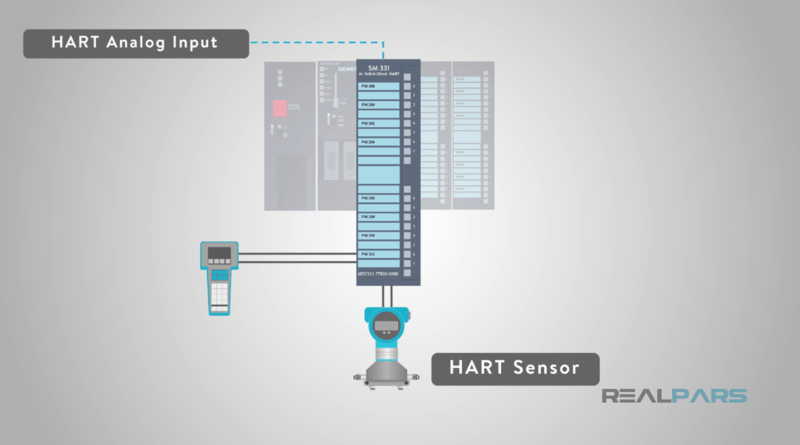 Even though the HART standard requires manufactures to provide a minimum number of specific data items with every HART sensor, vendors can also extend the data set to include vendor-specific items, like sensor model numbers or firmware versions or advanced diagnostic counters. In order for the control system to recognize the type and values for these custom data, a special description file, called a Data Description (DD) file is required. This file is loaded on the DCS or PLC configuration station or downloaded to the hand-held communicator and becomes directly associated to the sensor. 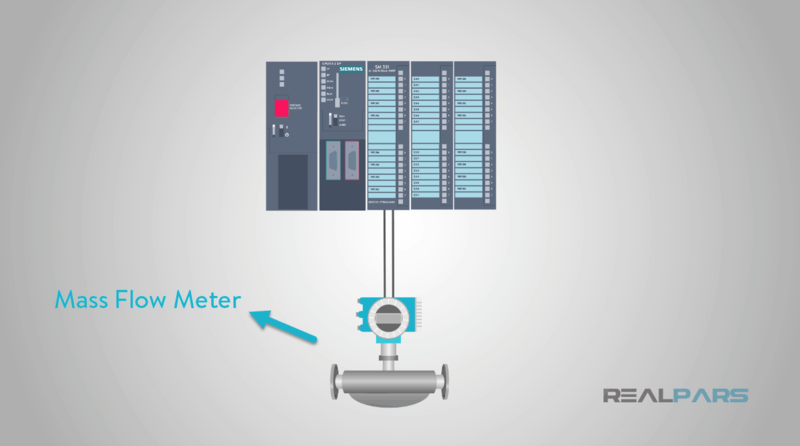 This file simply allow the data stream from the sensor to be correctly parsed, or interpreted, and allow the technician or engineer to make the correct requests for sensor data. 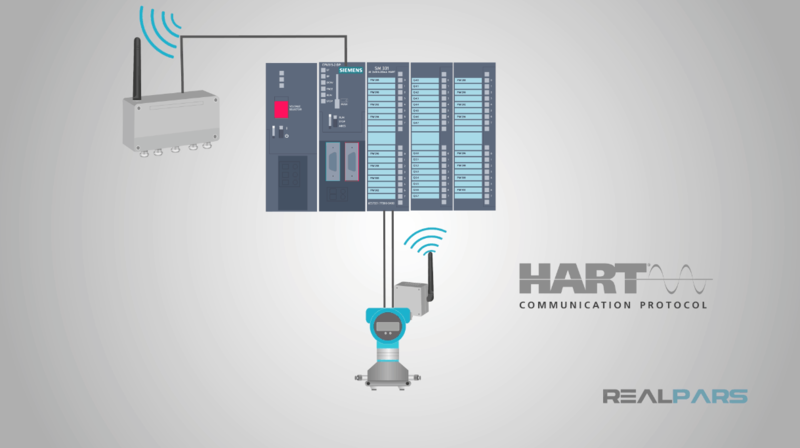 To review, HART is a digital data communication protocol that is layered on top of a traditional analog 4 – 20 milliamp signal which provides advanced data retrieval and configuration options to be executed remotely from a DCS or PLC system or from a hand-held communicator. HART communicates over a single pair of wires, so adding HART to an existing 4 – 20 milliamp sensor loop requires no wiring modification. Only the hardware at the analog input card and the sensor electronics may need to be upgraded so that HART functionality is provided. 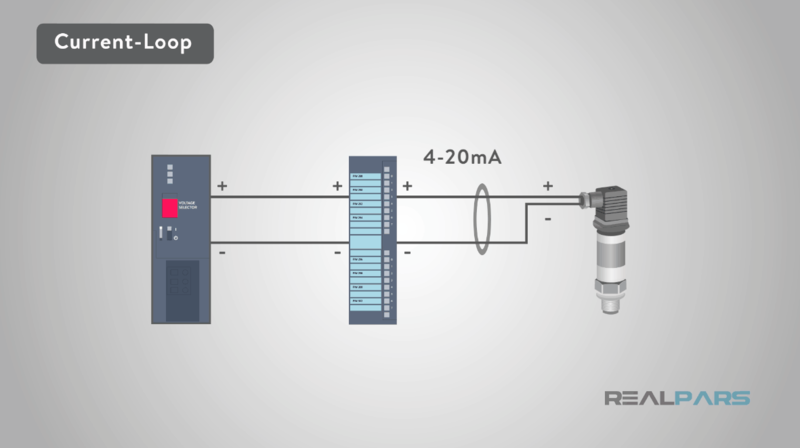 A high percentage of sensors already installed in 4 – 20 milliamp loops are already HART-enabled. 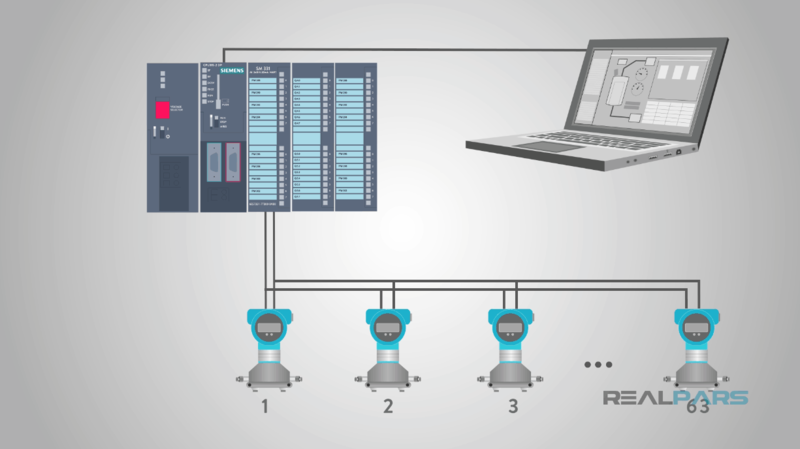 HART may be the fieldbus you already have in your plant. Through simple configuration, a wealth of new process data and diagnostic capability can be obtained with a minimum of effort and expense. Thank you as always for reading, watching and sharing your voice. You continue to make this one of the best and brightest communities across the entire online Universe.